Answering the Call for Police, Firefighters, and EMS ! Listed below are MPI’s State approved in-service training programs for dispatchers and call takers. Each class represents 4 hours of training. You may select any of the courses listed below to complete your 16 hour mandate. The cost is $99 per class or you can select the bundle option of 16 hours for $299 per person. Please contact dawn@mpitraining.com to get started! This training has been specifically designed for Public Safety Dispatchers and Call Takers and will cover such topics as “Understanding the Court Procedure, Trial Preparation, Depositions, Affidavits, Subpoenas, Testimony and more.” As an additional part of this training, we will address the positive and negative aspects of social media, body language and how it contributes to your witness profile. In this training program we'll look at the necessary skills needed under pressure as well as some demands placed on the communication process during an emergency. We'll discuss social media and its' various applications as it applies to disaster management. We will discuss stress, compassion fatigue and PTSD. We will learn how to manage the risk factors that accompany stress and intervention strategies. We'll examine the protocols for prioritizing and coordinating emergency services. Many dispatchers and call takers may have already dealt with a person in a state of excited delirium, while for others, your next time, will be the first time. Excited Delirium is a true medical emergency, not a crime. This MPI training will replace and update the previous “Excited Delirium Syndrome” training with best practices, for the safe handling of persons experiencing this medical emergency. Human Trafficking is the illegal trade of human beings for the purposes of commercial sexual exploitation, forced labor and more. This training will provide a basic understanding of Human trafficking for Dispatchers and Call-takers. This training will also examine new legislation surrounding this topic and point out what each of us in law enforcement can do, to combat this crime. This training will focus on the close personal relationships of most public safety providers and the ethical responsibilities equally shared. You will be provided with an understanding of the necessity of ethical decision making and of adhering to the Code of Ethics expected of you. This training will provide you with the tools necessary for you to think and act ethically in both your personal and professional life. 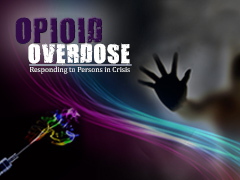 As we are experiencing nearly one thousand deaths annually in our state, this training will discuss why and how dispatchers and call takers must be trained in substance abuse disorders. In addition, we will break down Massachusetts General Law Chapter 123 section 35, discuss individual evaluations and some changes in the law. Dispatchers and Call takers will get an understanding of the impact Alzheimer’s and Dementia may have on individuals in need of Law Enforcement or EMS services You will be advised as to practices and methodology as to receiving 911 calls from such persons and how to more readily assist those in need. We will discuss the Silver Alert System and provide advice as to locating missing persons. In the program we will look at dispatchers, citizen and law enforcement response to active shooter incidents. We will discuss incident characteristics, the weapons used and how to be prepared. We will discuss the 5 stages of the active shooter incident and effective communication skills. 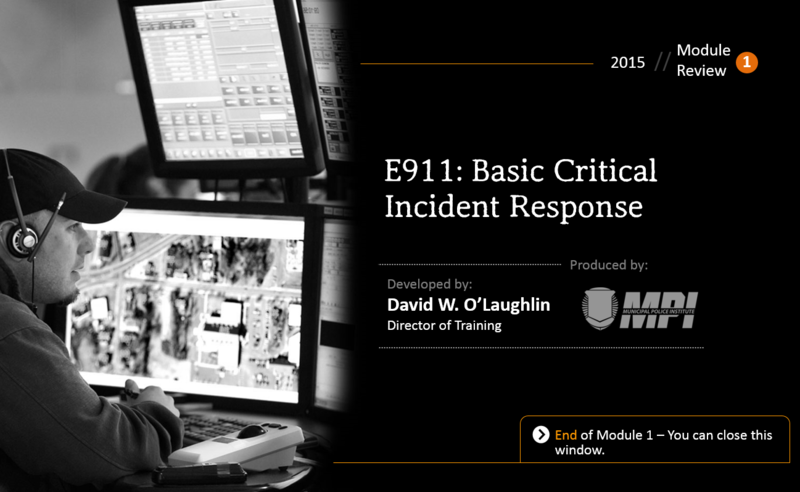 In module 3 we will examine response strategies, the role of the Telecommunicator, the QuAD, contact and rescue teams. This program entitled “Surviving the Call Center” will focus on the job related stress experienced almost every day in an E911 call center. We’ll take a look at both the normal and the not so normal kinds of stress and the emotional trauma that often goes with it. We will look at some surprising signs and symptoms of stress. In the final portion of this training, we’ll take a look at stress management the Mind and Body Connection. This training program is presented in order to get a better understanding of persons suffering with mental illness and what you as a public safety dispatcher or call taker can do to improve the police and emergency medical response to those in crisis. Recognized and approved by the Massachusetts Department of Public Health, this program will introduce you to the facts you need to know about mental illness and the “Best Practices” that you can use to assist the emergency responders when handling crisis situations involving the mentally ill. 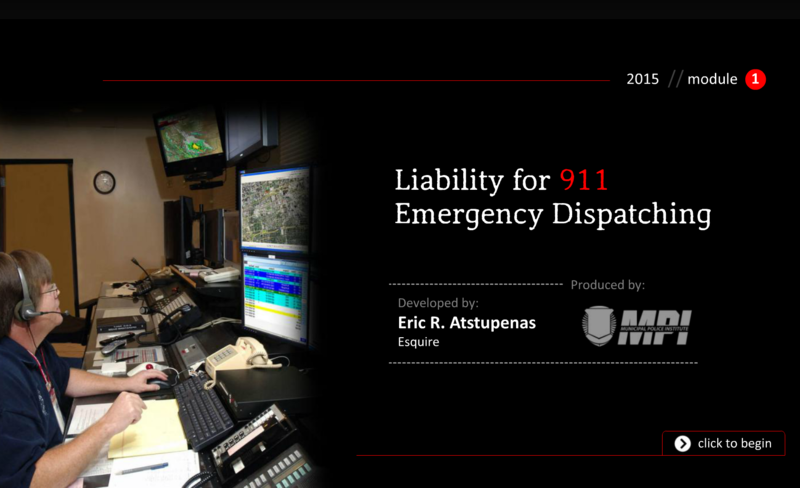 This training program, specifically designed for E911 dispatchers and call takers, will explain the concept of legal liability using case law examples with recorded transcripts of dispatchers in action and the subsequent analysis both by the courts and the public. It contains best practices, avoiding tragedy and functioning under stress. This training program will cover the role of dispatchers and call takers in a variety of emergencies and examine the impact of an increased demand for related public safety services. In addition, we’ll examine critical incidents, intentional acts and social media. We will look at crimes in progress and civil disturbances. We will define and discuss Mental Illness, Excited Delirium and Suicidal Persons. This training program will cover the calls for service, emergency and non-emergency phone calls, the call taking function and the dispatching of public safety response units. In addition, define and discuss the emergency medical dispatcher, focus on information gathering and what can happen if critical information is not shared, responsibilities for handling crimes in progress and look at hazards and injuries. We apologize but this course will no longer be available. 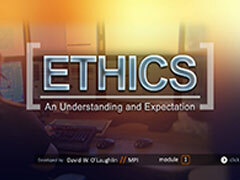 If you completed the original version of this course you may reprint or download your certificate.